Don’t let fear stop you from taking that first step. The May 2018 enforcement deadline for GDPR compliance looms. Establishing compliance is a mountainous effort requiring personnel additions, process changes and technology implementation. Instead of being overwhelmed by the mountain, organizations should focus on the immediate path ahead of them, establishing the key preparations and foundations of compliance. 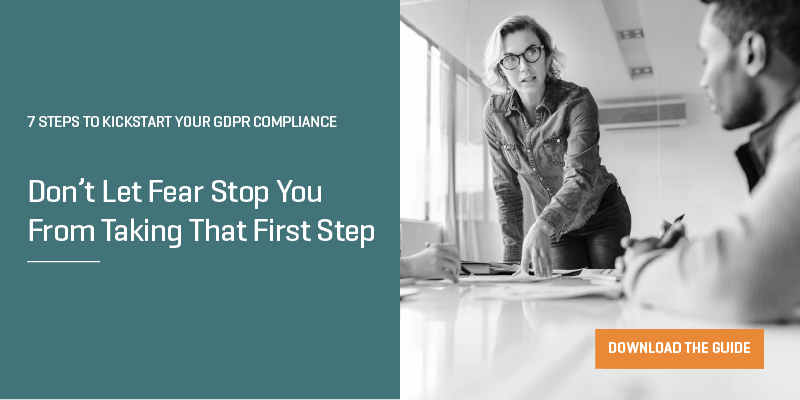 There is no silver bullet to GDPR compliance. No single application you can buy or consultant you can hire. Instead, GDPR compliance takes a combination of people, process, and technology. Don’t let fear, unknowns, or analysis paralysis stop you from taking that first step. Download our easy-to-follow seven-step guide today. Today's workers use smartphones, tables and laptops from wherever they are - at home, on the move or in the office. Users are more flexible in the jobs they undertake - often crossing job roles and thus requiring software that pevious generations would never have touched. But how is it possible to balance these growing user demands and at the same tiem ensure the company is not exposed to license liability?